Featuring Primal Scream, debuting tracks from their 10th studio album, and the BBC's Sound of 2013 winners Haim. Plus Everything Everything, Ana Moura, Night Beds and Jamie Cullum. 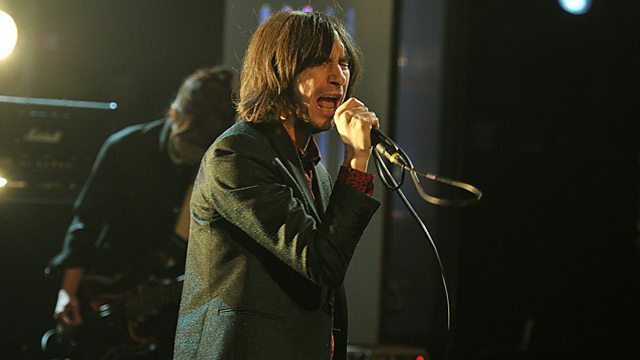 Jools is joined by Bobby Gillespie and his band of merry men, rock and rollers Primal Scream, who will be debuting tracks from their upcoming tenth studio album More Light. Making their television debut will be Los Angeles' Haim, comprising of sisters Danielle, Alana and Este plus Dash on drums. They were recently proclaimed the BBC's Sound of 2013 and will be showcasing songs from their upcoming and much anticipated debut LP. From Manchester, returning to the show are Everything Everything with numbers from their recent top five sophomore album Arc. Also in the studio is Portuguese singer Ana Moura who is one of the leading exponents of Fado music, the traditional sound of her native country, and hailing from Nashville by way of Colorado Springs is 23-year old songwriter Winston Yellen, aka Night Beds, who has been described as 'having a new great American voice with a specific brand of intimate thirst that few musicians possess'. British jazz-pop sensation Jamie Cullum makes his Later debut with numbers from his forthcoming sixth album Momentum.